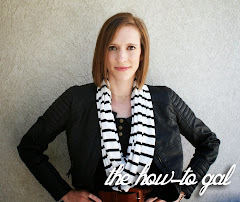 The How-To Gal: I'm Back! Back from vacation. Had a blast with my parents and was able to whip up a couple of projects, too! Editing pics and will post soon. It's good to be back! Hey how are you neighbor haven't seen ya lately..anyways hope everything is going well with ya can't wait for the summer to start our "BLOCK PARTIES" stop by when your not busy creating something..haha Luv ya!